Did you know that whenever we ask generative questions, we are opening the door to allow for new possibilities to occur on an energetic level that lets the universe show you more of what you want your life to be? What if you could easily get into the habit of using questions as a tool to consciously design the type of future you really want beyond what you’ve decided is possible? Generative questions are the kind of questions that you ask in wonderment and curiosity when you're seeking ideas for creating change and asking to be shown what else is possible. Because in any given moment, when you ask a question without any point of view attached or judgement/conclusion from a fixed point of view like this is “good” or “bad”, you are creating space and energetically shifting the molecules of what will show up in your reality. "I wonder how much fun can I have creating my future?" "How can this turn out better than I could have imagined?" "I wonder what new things can open up for me if I ask more questions?" "What can I add to my life today that would expand my life in many ways?" With every “What if…” or “I wonder… “What would it take…” type of question, you’re asking the infinite universe to show you something different, something more and beyond what your cognitive mind is telling you is actually possible - instead of receiving outcomes only based on what has occurred in the past or based on your (and others') limited, low-vibrating fixed points of view. Looking to your past is not a reflection of what you can create in your future. We are all so programmed to try to control and "figure out" situations thinking that's how it's going to go our way, but it doesn't usually work out that well-have you noticed? Your underlying energy and vibrational frequency is what determines the physical outcomes because that's what is being communicated through the universal language of energy. What you want is to BE the energy of curiosity and wonder so it can deliver even better things beyond what you thought was "right" or what you "thought" you wanted. The vibrational interaction of our thoughts, emotions, words, and beliefs is what activates the molecules of energy that create our physical reality in every moment and we have the ability to consciously work WITH this fundamental force. When faced with a specific situation we would like to change, it’s best to stay neutral and acknowledge the current situation. 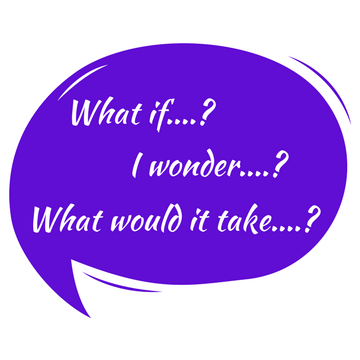 Try asking questions from the space of… “Ok, now what’s next?”, “Ok, now what’s possible?”, “Ok, what would it take for something better to show up?” Do not align or agree, resist and react, or judge it and get emotionally caught up. Instead… be in the question and be in allowance and non-judgement of what is showing up and ask a question that allows you to be open for it to change. Just the simple fact that you're not settling for "it is what it is" and you are willing to ask the universe for something different can set new things into motion to support you and the unseen energy molecules can reconfigure in an instant - it's the basic principle of quantum physics. Though I've heard from so many friends how they struggle to find the words and often can't think of what to ask. Just know that there aren't any right or wrong questions, but there are definitely some that are more potent than others that will open up new doors and create space for a different outcome to occur. 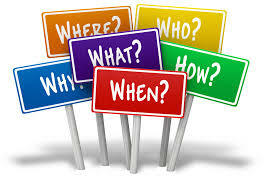 As you are getting into this new habit, you may struggle to find the words and often can’t think of what to ask or ask questions in such a way that it isn’t expansive and doesn’t come from a lightness, but there is a special easy to download tool that can help you! You'll find that the more you listen, the more these questions will just naturally come to mind and you'll find yourself asking them without even thinking about it and then a new space of non-judgment and wonderment will open up for you and you'll begin to co-create your life with the universe. Using these questions is a powerful tool to play with in your life, but also be mindful not to go into it with specific expectations like “fixing a problem” because that is just a judgment that will cut off your awareness and keep you stuck. BE in GRATITUDE, that is a key element of creation! Acknowledge and thank the Universe for what has shown up and ask for even greater which says you're grateful and inviting in even more expansion. "Thank you so much and how does it get better than this? ", "This is great, thank you...now what's next?" , "How did I get so lucky to receive this and what's possible now?" The more you listen and make this a part of your routine, the more these questions will just naturally come to mind and you'll find yourself asking them without even thinking about it. Each series of questions are looped several times so that you can set each recording on repeat to go even deeper. How does it get any better than that and what else is possible now? This practice takes persistence and a commitment to you to continue to ask questions and become more aware, and clearing energies that aren’t you, as you continue to choose more and more with the universe to create the magic. If you've done a lot of Access Consciousness processing, you know the profound impact that both asking questions and using the Access Clearing Statement © has on transforming and expanding consciousness. And if you don't know about Access Consciousness yet, click here. BE THE LOVE THAT YOU ARE - CHOOSE LOVE - LET'S PLAY!